At Miami’s original and most iconic shopping centre, fashion shines as brightly as the Florida sun. 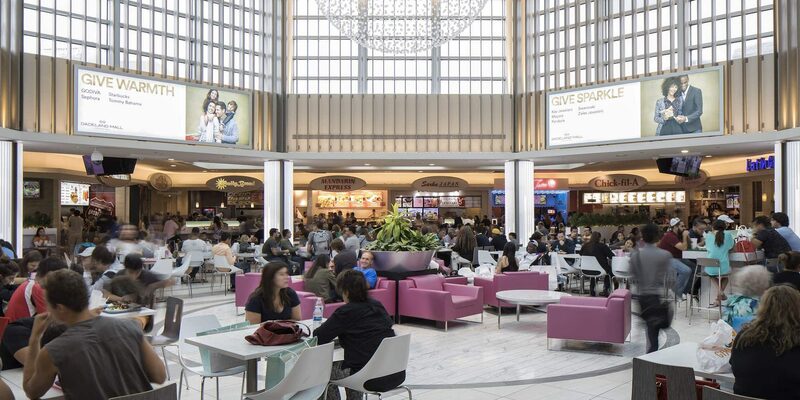 Located in South Miami’s Dadeland area, Dadeland Mall® attracts scores of locals and travellers alike with more than 185 retail stores and restaurants. Discover a treasure trove of sought-after designer brands, specialty shops and department stores, including Coach, Louis Vuitton, The Disney Store, Free People, Nordstrom, Saks Fifth Avenue, BOSS Hugo Boss, Swarovski, Florida’s largest Macy’s and so much more – all in a gorgeous, climate-controlled indoor setting. Miami is a true cultural melting pot, and so are the culinary offerings at Dadeland Mall®. In the stunning Terrace Dining area, shoppers can dine al fresco on global fare at eateries like Aoki Teppanyaki, Balans Cafe & Bar, Spoleto, Texas de Brazil, Earl’s Kitchen + Bar and chef Bobby Flay’s Bobby’s Burger Palace. If the deals are too hot to stop shopping, there are plenty of grab-and-go options at Dadeland Mall®, too – from quick Chinese at Mandarin Express to sweet treats at Haagen-Dazs, Godiva Chocolatier and Le Macaron French Pastries. 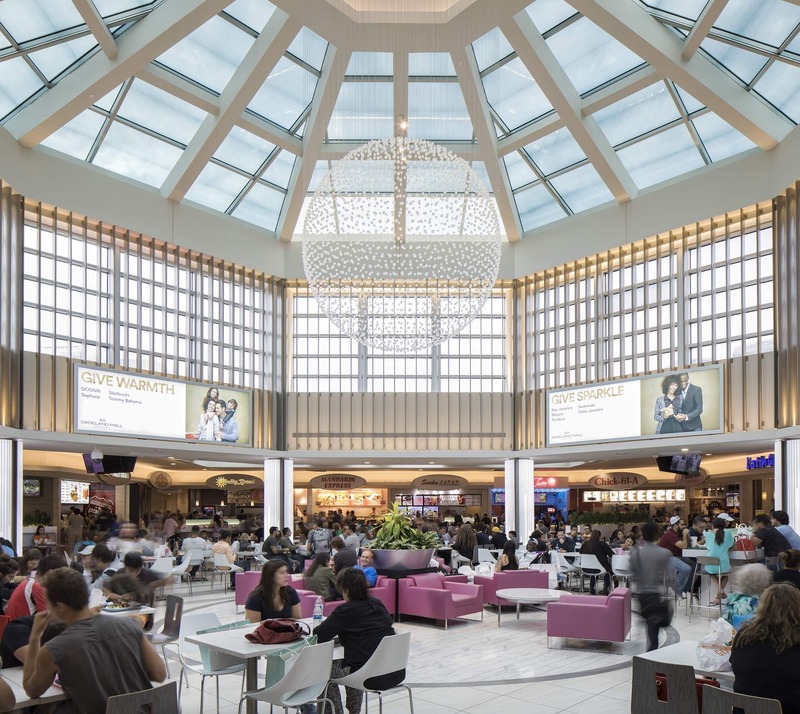 Dadeland Mall® offers upscale amenities geared towards the serious shopper, including complimentary personal shopping services and package check. For a full menu of perks and privileges, enquire with a representative at Guest Services. Do you like your shopping with a side of entertainment? Head to Dadeland Mall’s onsite Convention & Visitors Bureau, where you’ll get insider tips on Miami’s top attractions and amazing beaches. The centre’s South Miami location gives you easy access to the area’s plentiful cultural and natural sites, too, including lively Coconut Grove, Vizcaya Museum & Gardens, the Miami Seaquarium, Key Biscayne or even the adventurous Florida Everglades. At Dadeland Mall®, you’re invited to shop awhile and stay awhile. A number of conveniently located hotels, including Miami Dadeland Marriott, Courtyard by Marriott and Aloft, offer chic accommodations plus complimentary shuttle services to and from the centre throughout the day. As an epicentre of global tourism, Miami and Miami Beach offer an eye-popping array of properties for your stay – from luxury resorts like the Mandarin Oriental to trendy boutique hotels in the centre of the action on glamourous South Beach. Whether you’re staying in Dadeland or at the heart of Miami, it’s easy to get to Dadeland Mall®. If you’ll be driving here, the centre offers plenty of free and covered parking. For an extra fee, relax and let our valets do the parking for you. Take Le Jeune Road (SW 42nd Avenue) south to SR 836 West (Dolphin Expressway). Then take SR 826 (Palmetto Expressway) south to the Dadeland Circle exit. The mall is on the left side. Take Interstate 95 (I-95) South to US 1, then US 1 south to SW 88th Street (Kendall Drive) and turn right. The mall is on the right side. Take US 1 north to SW 88th Street (Kendall Drive) and turn left. The mall is on the left side. For our international shoppers, there is a Currency Exchange International located between Macy’s and JCPenney. Here, you can purchase U.S. and international travellers checks as well as more than 80 foreign currencies.